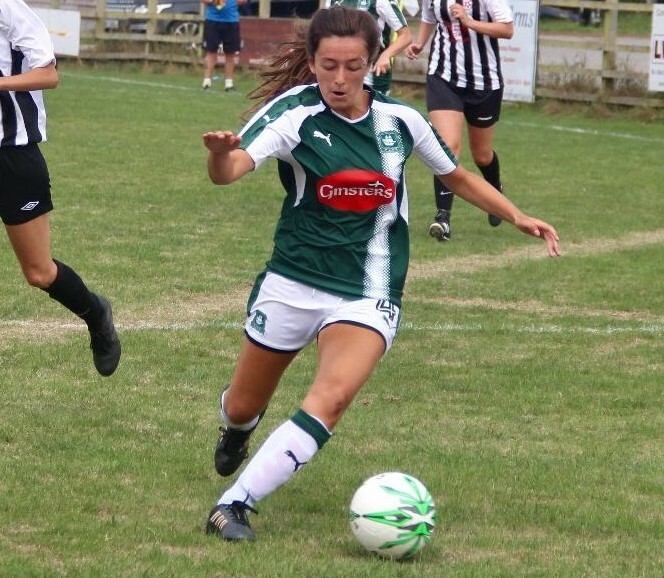 Plymouth Argyle Ladies travel to Uxbridge in London on Sunday to face Queens Park Rangers in a National League Southern Division match looking to build on their win against Milton Keynes in their last outing. Unfortunately, Argyle missed out on a top-of-the-table clash at Coventry United last weekend due to a waterlogged pitch. The good news is that the Pilgrims can at last include England under-20 international Jessica Jones in their squad. The teenager had been kicking her heels waiting for international clearance after playing professional football in North America, but that has now arrived. Joint managers Trevor Rodd and Dave Leonard have been working hard in training to eradicate the defensive failings that has seen them concede needless goals in their last couple of games. And Argyle will feel confident of returning with all three points from their trip to QPR, who had only two wins last season and have gained only one point this campaign. But Rodd said: “We won’t be taking them lightly; you can’t take anyone lightly at this level and this is no exception. Rodd re-iterated that promising teenage midfielder Faye Ivall (pictured top) is now a full member of the first team squad. Argyle last played QPR in their relegation season which they drew 2-2 at home but won the away match 2-1 with Mollie Taylor scoring two first half goals. Striker Natasha Knapman is still out injured, but the Pilgrims have not struggled to score in recent games. Argyle squad: Lyndsay Rogers, Becca Wakley, Mollie Taylor, Kate Middleton, Ebony Dover, Zoe Cunningham, Becky Dandridge, Steph Beck, Kayley Lane, Helen Bleazard, Jessica Jones, Fate Ivall, Tansin Medd-Gill, Darcey Hepworth. Argyle’s development team make a second trip to Weston-super-Mare within seven days. Last weekend the young Pilgrims beaten Weston Mendip 3-0 and on Sunday they will tackle fellow league newcomers Weston-super-Mare. Weston-super-Mare have won both their league games to date, while Argyle have lost just one of their first four. The Pilgrims’ development team have been growing in confidence and improving every game. Unfortunately they will have to do without the exciting Lucy Solloway, who had to leave the field with a torn calf muscle last week. Gabi Alphous heads the scoring for the development team with six goals followed by four from Nicola Chapman and two from Lucy Solloway. Shania Fenlon, Faye Ivall, Maya Ridge and Kelly Vinnicombe have also weighed in with a goal each. Argyle Development Squad: Amy Darnley, Vicki Fannon, Kiara Robins, Rachel Javan, Sally Salter, Shania Fenlon, Hannah Brock, Maya Ridge, Becky Parkyn, Morgan Friend, Jodie Randall, Alex Hugh, Kelly Vinnicombe, Gabi Alphous, Nicola Champion.